Zee TV, the flagship channel of Zee Entertainment Enterprises Ltd was launched in October 1992. With a reach of more than 173 countries and access to 1+ Billion viewers globally, Zee TV has created strong brand equity and is the largest media franchise serving the South Asian Diaspora. Realizing its strength in programming and the need for Indian entertainment in the overseas market, it launched Zee TV in the UK / Europe (1995), the USA (1998), Africa (1998) and is available across five continents. Nearly two decades since its launch, Zee TV has driven the growth of the satellite and cable industry in India. The popularity of Zee TV arises from its understanding of Indian culture and beliefs that are reflected in its programming. Zee TV’s content library delivers a variety of choices for the great Indian middle class ranging from non-fiction formats that celebrate the talent of India’s common man to fiction shows that deliver strong messages and drive positive change in society while entertaining viewers. Zee TV’s content resonates with its core ethos – ‘Aaj Likhenge Kal’ that aims to inspire viewers to take charge of their destinies giving wings to their dreams and aspirations. Since its inception, Zee TV is a pioneer in the Indian television space – be it introducing singing talent based reality television with Sa Re Ga Ma in 1995, revolutionizing the way dance was perceived in the country with Dance India Dance in 2009 or encouraging children’s creativity, spontaneity and acting skills through India’s Best Dramebaaz in 2013. Zee TV introduced a wave of popular game shows like Just Ek Minute, Saanp Seedi, Antakshari and clutter-breaking fiction concepts that were way ahead of their time such as Tara, Banegi Apni Baat, Chattan, Hasratein, Rishtey, Sailaab, Zee Horror show, Amaanat, Ashirwaad, Basera, Koshish Ek Asha, Ghar ki Lakshmi Betiyann and Mehendi Tere Naam Ki. All these programmes proved to be major primetime successes and set benchmarks for television. As a socially responsible broadcaster, Zee TV has touched upon a number of diverse social issues through path-breaking shows like Agle Janam Mohe Bitiya Hi Kijo, Aapki Antara, Saat Phere, Punarvivaah, Afsar Bitya, Phir Subah Hogi and Doli Armaanon Ki. Some of the channel’s biggest primetime successes in recent times include Jhansi Ki Rani, Pavitra Rishta, Qubool Hai, Kumkum Bhagya, Kundali Bhagya, Jamai Raja, Brahmarakshas, Piyaa Albela, Zindagi Ki Mehek and Woh …Apna Sa. ZEE5 is the brand new digital entertainment destination launched by Zee Entertainment Enterprises Ltd.. With content across 12 languages like English, Hindi, Bengali, Malayalam, Tamil, Telugu, Kannada, Marathi, Oriya, Bhojpuri, Gujarati & Punjabi, ZEE5 is home to 1 lakh hours of On Demand Content and 90+ live TV channels. 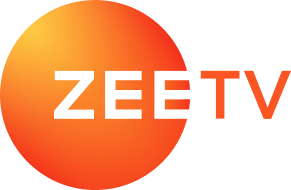 Zeetv.zee5.com looks forward to bring to its fans, loyal viewers and subscribers, all stories, written updates, news and everything related to the Zee TV channel and OTT platform ZEE5. The editorial team is a dedicated team of writers and contributors, led by Sameera Kelkar who enjoy writing on Zee TV shows, Hindi serials, Hindi movies, and ZEE5 Hindi originals and are thoroughly committed to creating content that is informative, relevant and entertaining.